The lease agreement is the most important document during any tenancy as it dictates the terms of agreement between the landlord and the tenant. One of the basic aspects of a lease agreement is the length of the tenancy with the lease expiring once that period is over. However, there is more than one way that the lease agreement can end. A tenant can also break the lease by basically informing the landlord beforehand of their wish to leave the property before the agreed period. However, this would only hold legal significance if you, as the landlord, agree to the tenant’s wishes in writing as well. 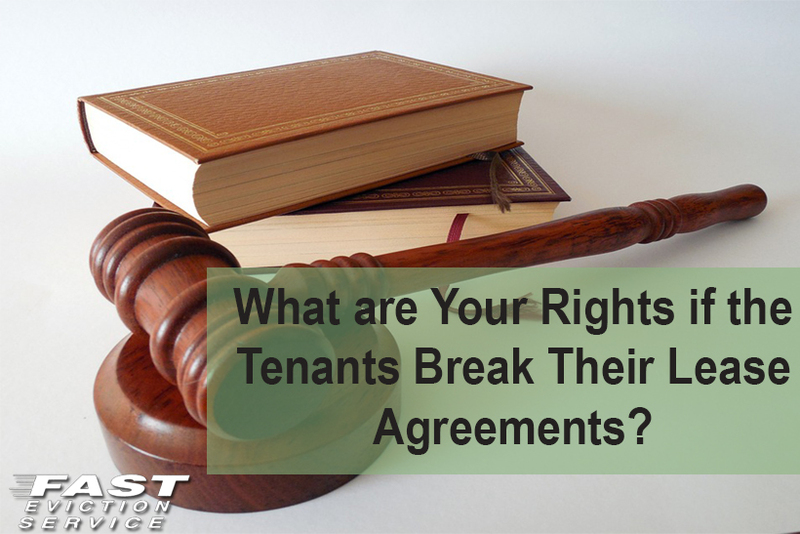 Your Legal Rights When a Tenant Breaks a Lease? The tenant would keep paying rent for the remaining period of the lease until a new tenant is found. The tenant would pay the advertising cost of finding a new tenant. The legal rights mentioned above show that the burden of finding a new tenant in case the existing tenant breaks the lease agreement falls on the existing tenant. You must understand that while the law provides you these safeguards, its best to keep yourself on the safe side and put these clauses in a special section within the lease agreement. This would ensure that you don’t have to go through your state’s laws and it would also make sure that your tenant understands what would be at stake if he/she breaks the lease without your consent. Normally, these clauses are not part of the lease and you would have to ask your property manager to ensure that these points are made of the lease. You would have your rights whether they are mentioned in the lease or not but by mentioning them, you would sure up your case big time. Advertised Rent and Why it Should Stay the Same? The only thing that you need to watch out for incase a current tenant breaks the lease is to then advertise the same rent when finding a new tenant. This is because your ex-tenant would be paying the rent until a new tenant is found and if you would ask for higher rent, it would diminish your chances of finding a new tenant. The ex-tenant can then file a reference saying that you are being unfair and you might lose your rights as a result. Therefore, it’s best to fix the rent and not ask for anything more than you were charging your previous tenant in such circumstances.